Addiction among seniors is a growing problem. Unfortunately, this problem often slips under the public radar, and the government does not provide seniors the education, attention, and funding they deserve. This article looks at 10 barriers to age-appropriate treatment for seniors. The barriers come from all sources: families who are embarrassed by the problem or don’t want to acknowledge it, inadequate treatment and misdiagnosis by doctors, denial, loneliness, lack of senior support groups, and more. 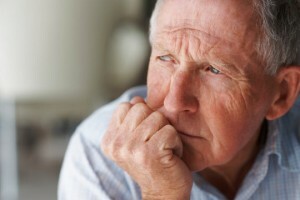 St. Joseph Institute is aware of the senior addict or alcoholic’s unique needs and strives to reach out to older adults. While we are not a senior-specific facility, the average age of residents in our program is higher than most, and residents over 40 usually find the Institute environment comfortable as we typically have other residents of a similar age. In addition, our emphasis on sustaining a loving, welcoming community ensures that all residents, regardless of age, feel comfortable and supported while in treatment. St. Joseph staff and faculty enjoy working with seniors. We understand that the causes of addiction for seniors are often different than those for younger people, and we are equipped to treat the loneliness, depression, grief, and loss that often lead seniors to alcohol or drugs. We are aware that seniors often feel isolated from their families and might need more extensive after-care support for that reason. Through our alumni network, after-care program, and family program, we can help older adults find the support they need after they leave treatment. While we require that our residents be ambulatory and without need for the constant medical care that would be found in a hospital setting, we make every effort to accommodate seniors who may need more time or space to transition between buildings and activities. It’s never too late. Let’s take care of our seniors and respect their ability to achieve a rich, fulfilling, healthy life—at any age.